Building or Renovating your home? Call us before you drywall. Being a leading provider of custom home electronics in the Toronto and Niagara region of Ontario, we customize whole house solutions that are simplistic and stylish. When building, renovating or just wanting to simplify your home, come visit us and tour our showroom! Learn what solutions are available while you have the opportunity to run the wires! 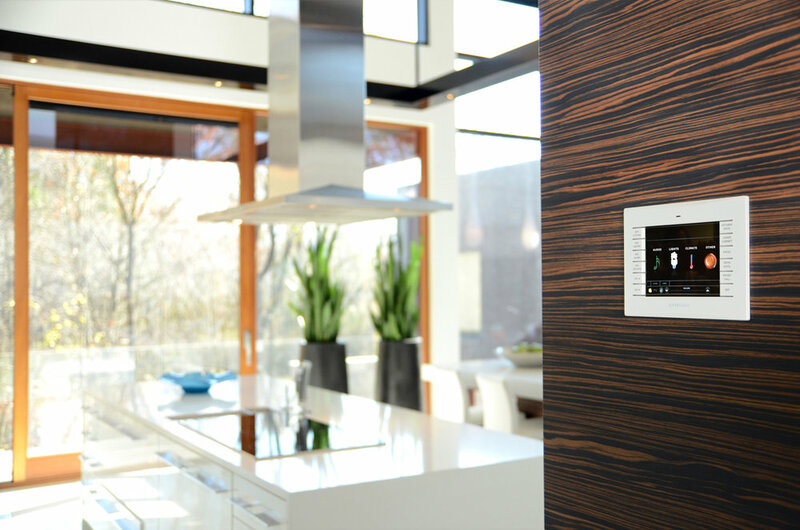 Whether you are looking for lighting control, music, networking, home theatre, or energy management, or security our easy to use and beautifully integrated control panels provide you a one-touch solution for all of your home automation needs and wants. Call us, we would love to meet you! We will set up an appointment that suits your schedule! Being smart has never looked so stylish. WE DO NOT SUB OUT OUR WORK! All of our technicians are fully trained, and certified and have been apart of the team for years.